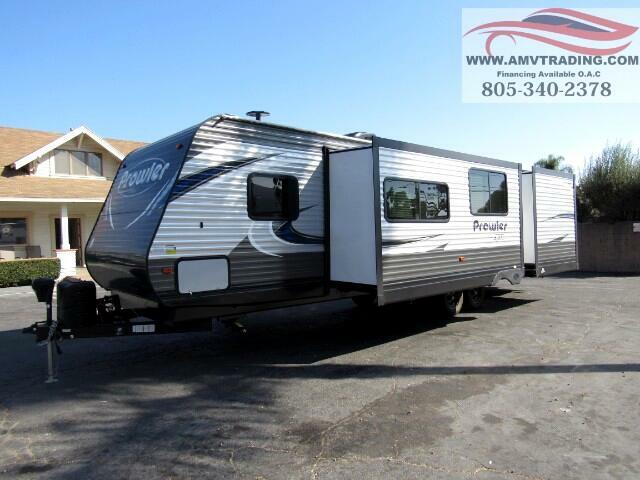 For your next travel trailer you will want a Heartland Prowler Lynx! These models feature an aluminum exterior and have an aerodynamic radius front profile. Along the exterior you will find LED lit exterior speakers as well as an under-body accent LED light strip. These models have also been prepped with a backup camera so now you can easily back up your trailer with ease. Inside each model there is a USB charging port, AM/FM/CD stereo with Bluetooth capability, inside and outside speakers and so much more! Message: Thought you might be interested in this 2019 Heartland Prowler.